Interactive presentation systems provide touch and handwriting input for natural interaction with digital content. 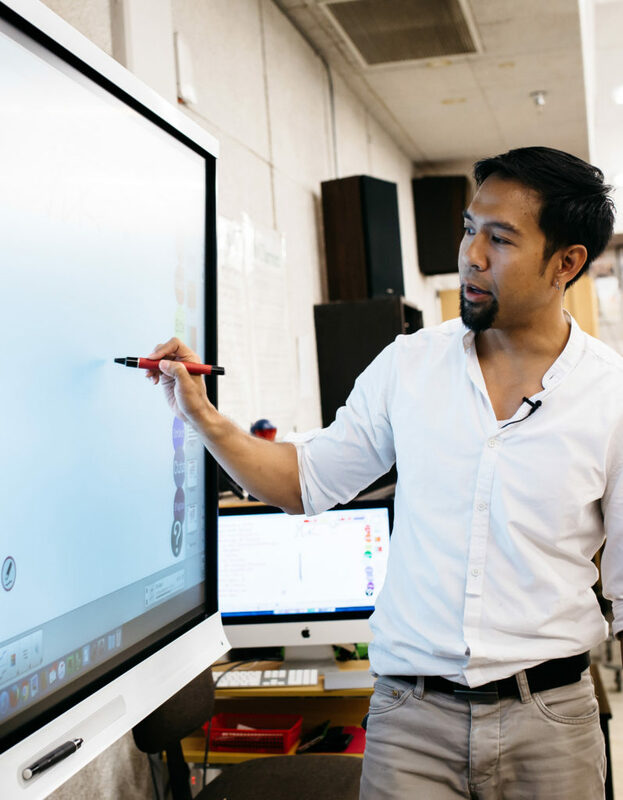 Interactive presentation systems include interactive whiteboards, touch-enabled LCD displays, and more! These displays allow users to interact with the display using their own handwriting or touch input. Many interactive displays offer two-way communication, allowing meeting attendees to interact with the display using their own tablet, smartphone, or laptop. Interactive presentation systems are great for collaborative environments where input from multiple people is necessary. Let Schiller’s help design an interactive presentation system to help you engage your audience!